A recent study reported that before menopause women often have worse migraines due to changes in hormone levels. This adds weight to the theory that migraines are often triggered by fluctuating hormone levels. When the body’s chemistry changes, blood vessels enlarge or dilate, putting stress on nerves in the vicinity and leading to a migraine. If one visits her primary care doctor to find help for hormonal migraines, she may be told to try birth control pills or use a patch to deliver estrogen via the skin. This can be concerning for some as these medications come along with potentially serious and unwanted side effects. 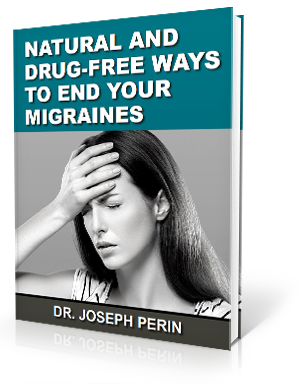 Thankfully, there is a natural solution for the problem of migraines that is safe for anyone at any age. In our practice, we see a variety of people suffering from migraines, even children. The common link between them all is a misaligned atlas vertebra. The atlas is the top bone of the neck and is responsible for protecting the brainstem. The brainstem has the vital job of relaying signals to and from the brain and body and making sure that all bodily systems are functioning properly. The brainstem is part of the central nervous system. The endocrine system produces hormones and relies on the nervous system to work properly. When the atlas moves out of position, stress is placed on the brainstem causing it no longer to send the proper signals, which can lead to improper hormone release. We use a gentle upper cervical chiropractic adjustment to help encourage the atlas to move back into place. Once corrected, the body can begin functioning at its optimum and migraines may decrease or go away entirely. To schedule a complimentary consultation with Dr. Joe Perin call our Vancouver office at 360-597-4784 You can also click the button below.